For K to 2nd graders. Students will continue their artistic education, learning about different mediums and art movements. 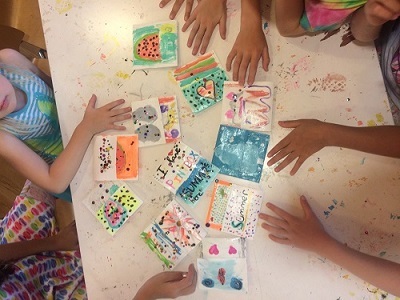 Weekly themes will guide these young artists as they build confidence through art. Artists take a step by step approach to creating their unique masterpieces, as they learn how to bring an idea to the page or canvas. This class features quarterly art shows at the studio and participation in local contests and art showings. Students will have a small introduction to sewing. SVS students use SVSART code at check out. St. Vincent students will be walked from aftercare and returned after class. Use a ‘class pack’ for 12 or 20 class discount.